The Exide SMF 12V Batteries are sure to provide an exceptional performance. These batteries have 65 AH value for increased efficiency and performance. They can be conveniently installed in your UPS system. 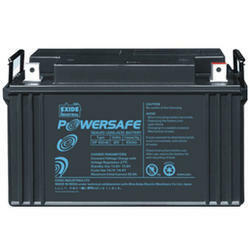 Exide is the leading manufacturer of lead acid, automotive and other batteries. It is globally recognized for offering a wide range of high quality batteries for a range of implications. Exide EP 42-12 Warranty: 2 year full replacement warranty. The Exide EP 42-12 replacement battery is a high quality battery designed to provide excellent performance, durability and long life. 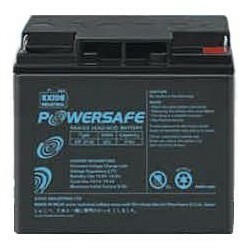 The Exide EP 42-12 replacement battery is covered by our industry leading 1 year replacement warranty. Improve your UPS battery performance with the Exide SMF 12V Batteries. These batteries have 100AH value for increased efficiency and performance. They can be conveniently installed in your UPS system. 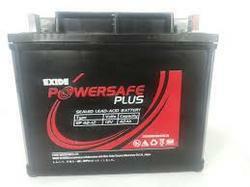 Exide is the leading manufacturer of lead acid, automotive and other batteries. It is globally recognized for offering a wide range of high quality batteries for a range of implications. Looking for Exide Batteries ?